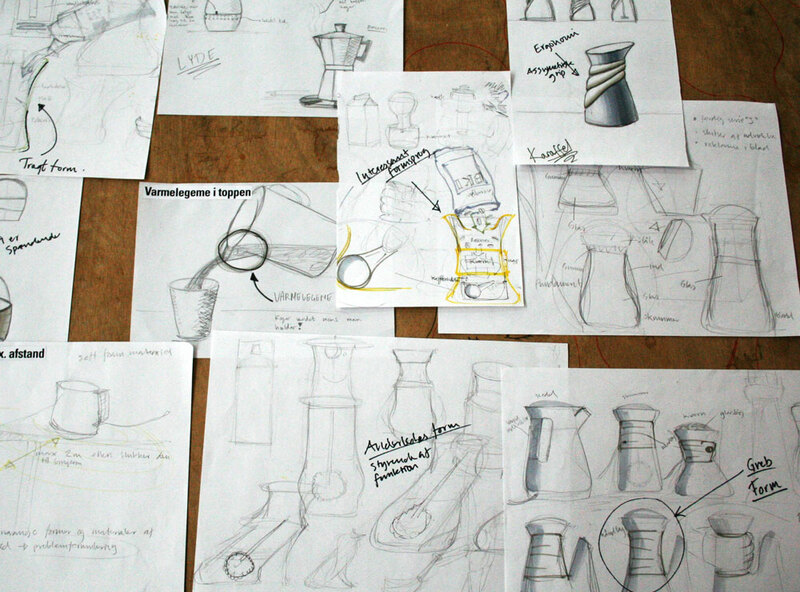 Early sketches showing among others the idea of incorporating the handle in the shape of the body. 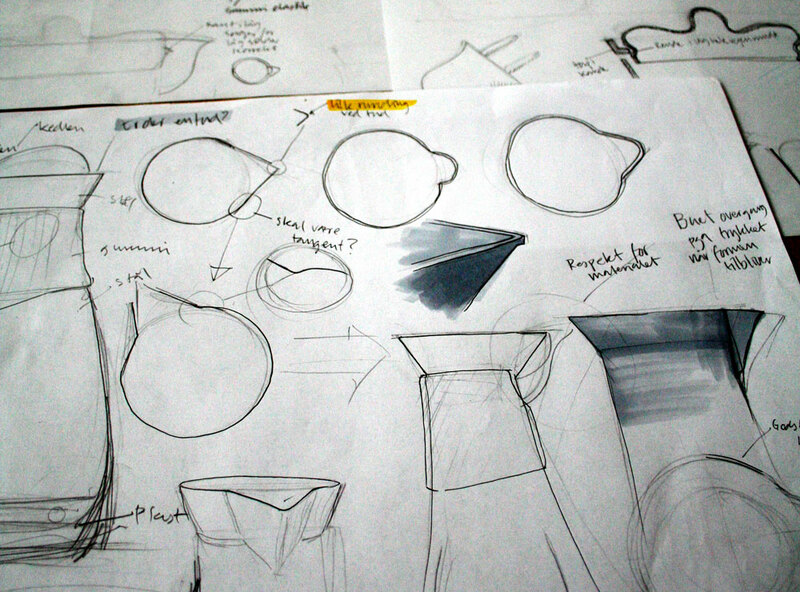 Detail sketches of ajustments to the final design. 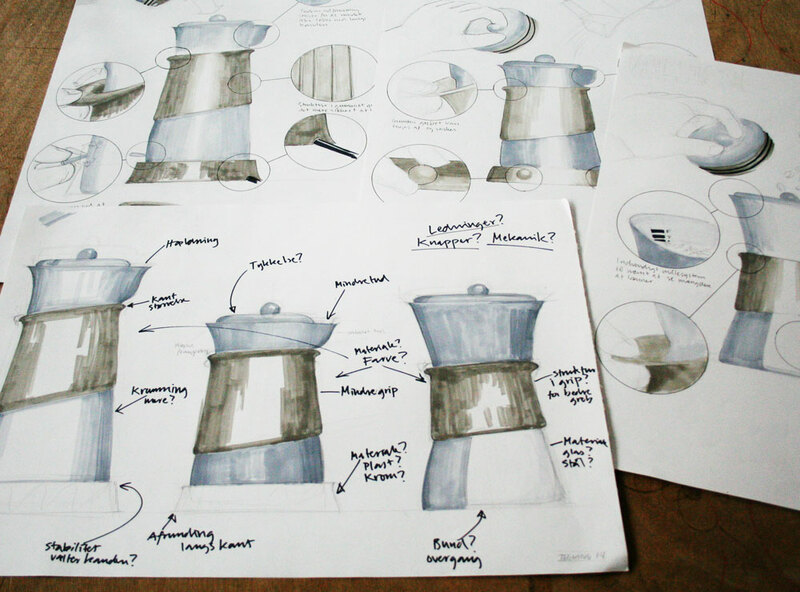 Detail sketch of the shape of the spout. Rough foam models of the shapes we considered. Render of final product. From the left: coffee grinder, water boiler and milk froather. 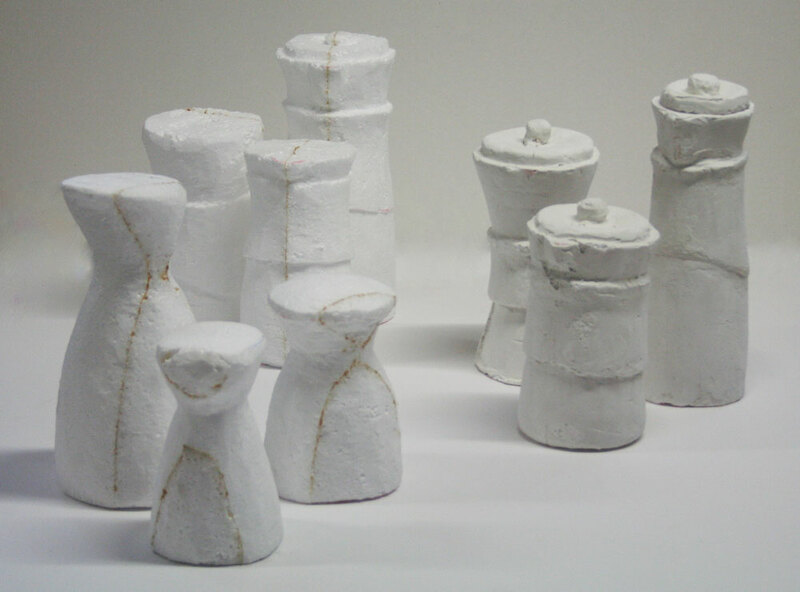 The products without their base. 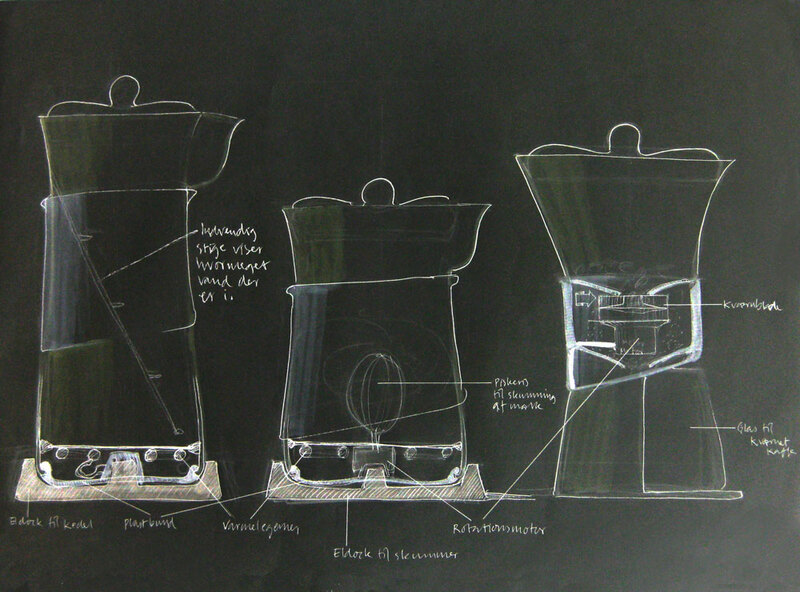 Cut through sketch of the functions inside the products. The family shown in context. 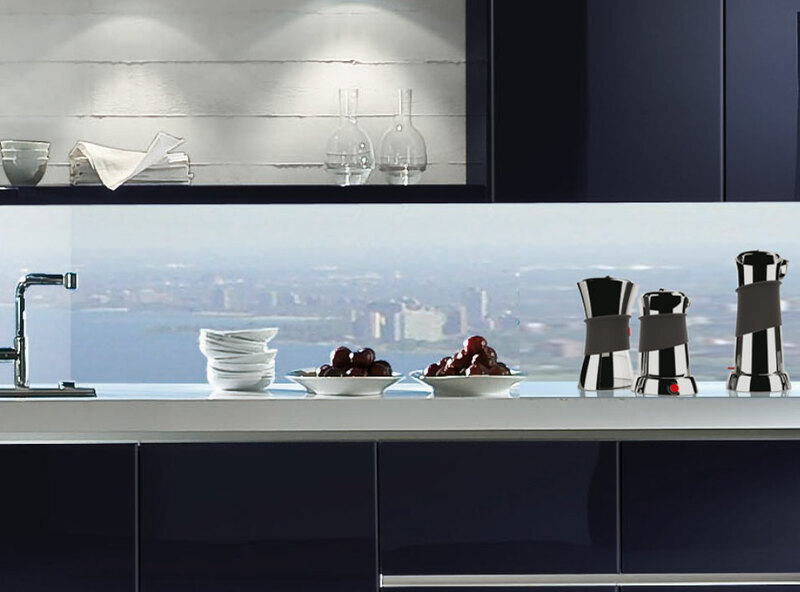 Alessi has a different approach to their products often with humor and use of non-geometrical shapes. 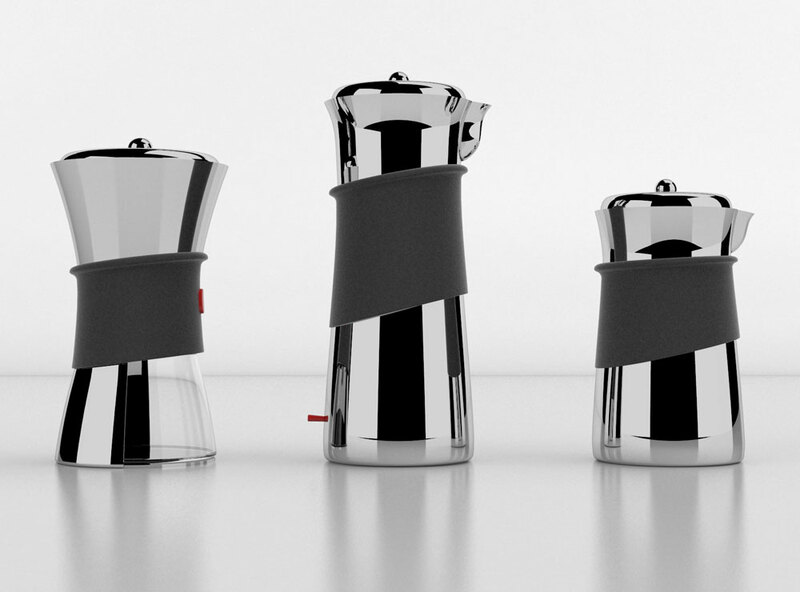 We wanted to challenge our way of approaching designing products and therefore did we try to make a product family for the italian design firm Alessi. Made and solved in collaboration with Mathias Bruun Christensen. To make a product family we first needed to look at the existing Alessi products and to get an understanding of their use of materials and forms. 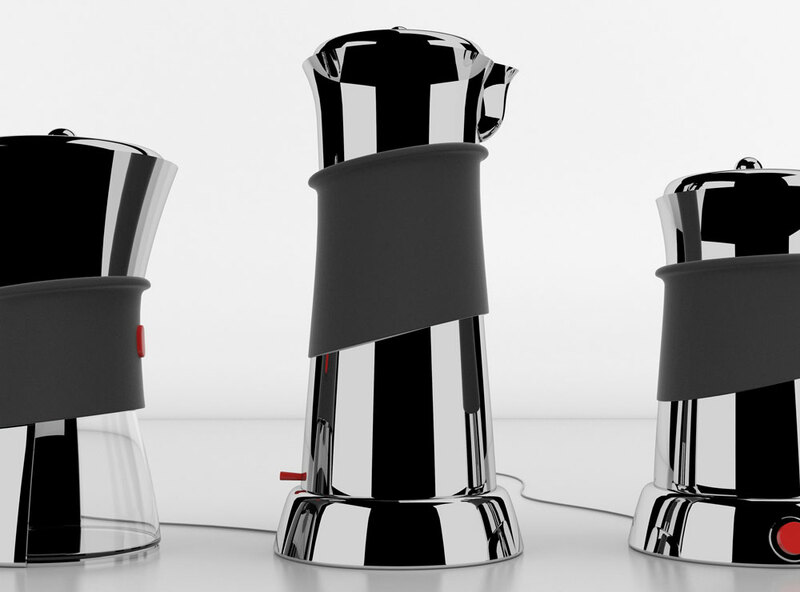 We wanted to add a product family in the coffee theme and decided to make a coffee grinder, a water kettle and a milk frother. We got an idea of removing the handle and making it a part of the body in the products. The handle should be done in rubber to give a good grip and isolating from the heat. The body should be done in polished steel and that together with the shape creating parallels to Alessi's existing products.